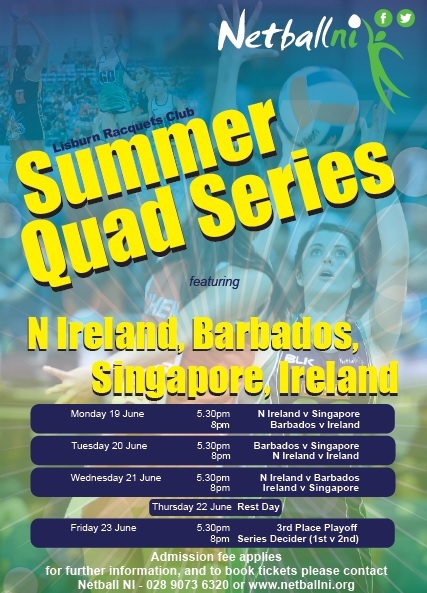 Netball NI are delighted to host Barbados, Singapore and Ireland in a Quad Series from 19-23 June in Lisburn Racquets. Tickets are available to purchase from the Netball NI office, or can be purchased on the day. 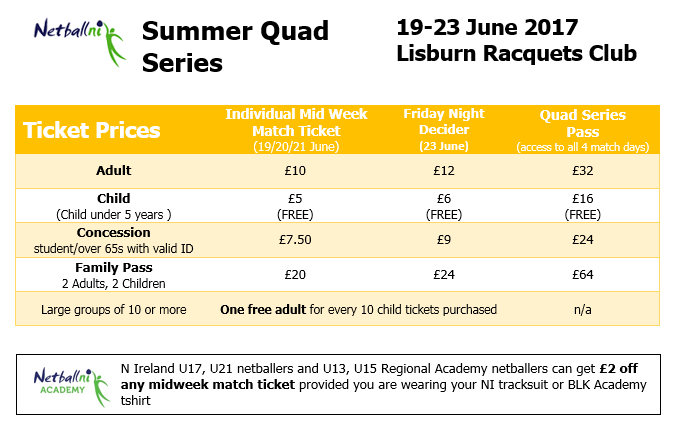 We look forward to welcoming you to Lisburn Racquets for a week of quality netball!